Taipei locals crowd New Year market?Video? 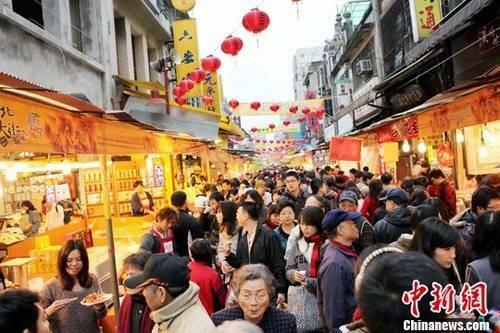 As the traditional Chinese New Year draws near, in Taipei, citizens are flocking to the Dihua Street market for all their Spring Festival supplies. 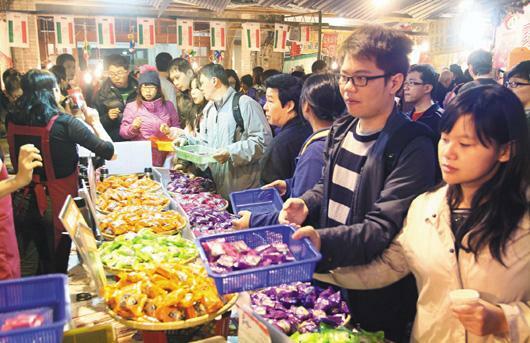 Braving the chill, shoppers are packing into the crowded Dihua Street Market in Taipei to prepare for the Lunar New Year. 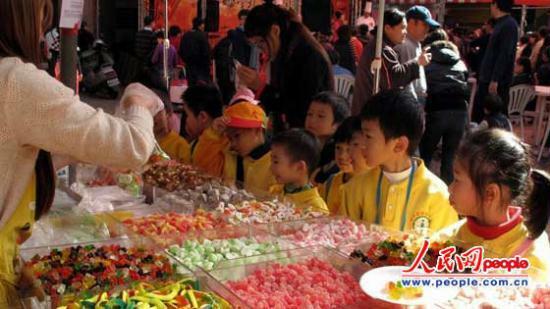 The peddlers sample wares at stands and shops full of colorful candy, dried goods and ingredients for New Year dishes. Dihua Street market for all their Spring Festival supplies. Some of them even wear "dragon hats" and pass out free samples to attract more buyers. A temporary post office was set up by the side of the street, for people to mail their festival goods as soon as possible. A Taipei citizen said, "I come here almost every year for the festival goods. I like this bustling place and the prices are cheaper." market for all their Spring Festival supplies. This lady brought her triplet daughters to the Spring Festival market. A Taipei citizen said, "Every year, I come here for Spring Festival goods. There are lots of Taiwan snacks, and even products from the mainland." At the market, children also have a place to go. At the education center, they can learn Chinese New Year traditions and practice calligraphy. The Dihua Street is open from 10 am to 11 pm daily, and runs through Lunar New Year?s Eve. for all their Spring Festival supplies.